GMC just launched its latest line of HD pickups with an aim to highlight the trucks’ towing prowess. But the tech that really caught our eye was the impressive ProGrade Trailering System — particularly the crazy cool (and useful) Transparent Trailer View. With this multicamera system, it virtually renders a fifth wheel invisible (pictured above)! 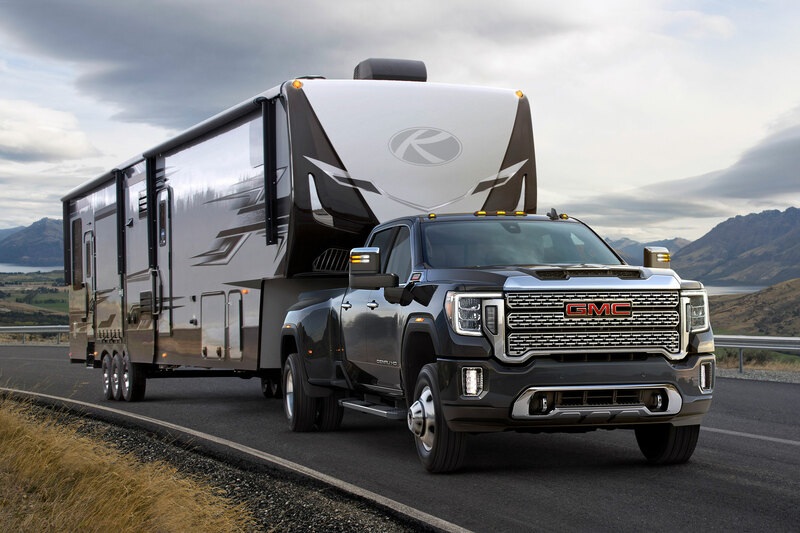 GMC first showed off its ProGrade trailering technology in the 2019 Sierra pickup. And the brand has now refined and integrated the system into its new heavy-duty pickups, which are often purchased specifically for towing duty. The system’s 15 camera views are truly impressive. But the standout camera view, an industry first, is the Transparent Trailer View. 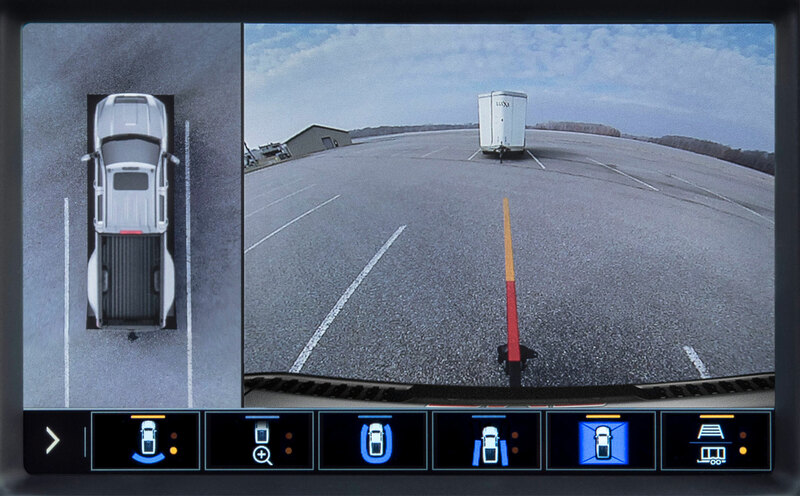 It’s a specific camera option that gives the driver a virtual line of sight right through the trailer. This makes navigating with confidence in tight quarters, and general trailering in traffic, way easier. 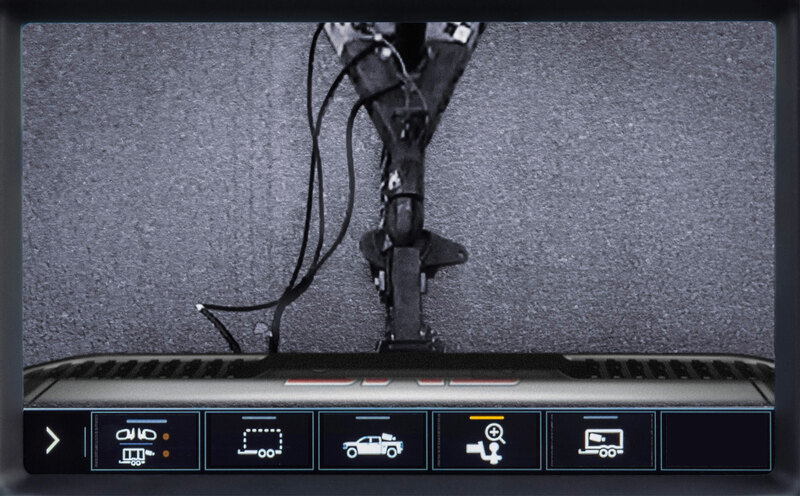 The ProGrade Trailering System provides 15 unique camera views in total. It basically lets you see every useful angle around the vehicle: the trailer hitch, through the trailer, and even an aerial from above the truck. All of these angles combine to present a holistic snapshot of your surroundings to help make trailering with confidence easier. No more guessing whether something’s behind the trailer, between the truck and trailer, or in any blind spots. In fact, there are no more blind spots! 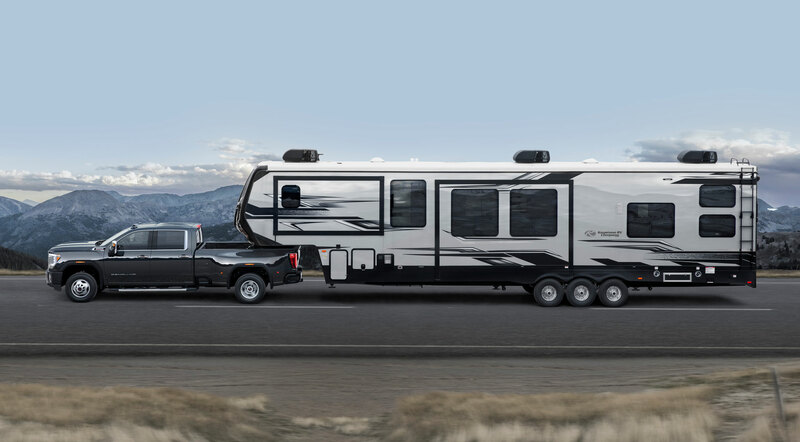 The Transparent Trailer View on the 2020 Sierra HD relies on the tailgate-mounted camera and an available accessory camera mounted on the rear of the trailer. The system’s computer software processes those images from both cameras to make the trailer in tow virtually invisible. 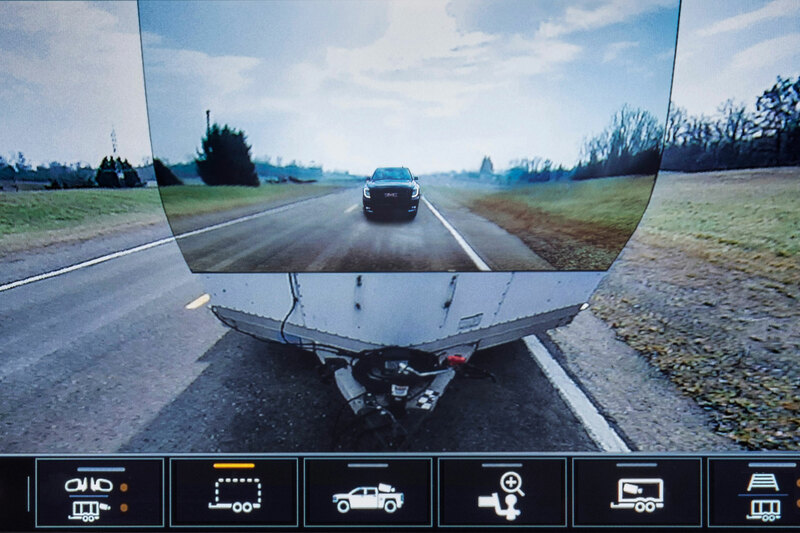 Another noteworthy feature of this trailering system is that the driver can access many of the camera views and tons of data about the trailer and truck through the myGMC mobile app. The app works on Android and iOS and can display on the truck’s infotainment system via Apple CarPlay or Android Auto. You’ll start seeing 2020 Sierra HD trucks on dealer lots later this year. Pricing and more specifications will be available closer to the on-sale date.